A prime location. 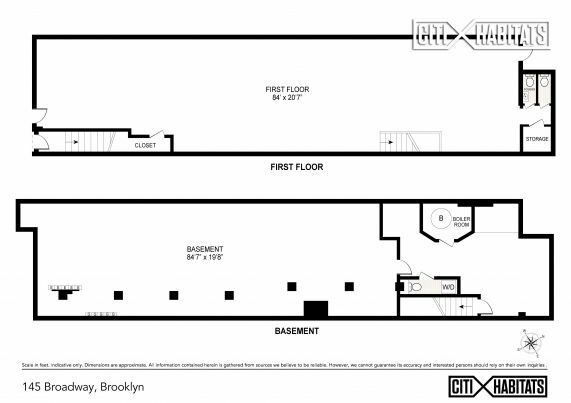 Surrounded by Peter Luger's, OTB, Meadowsweet, Williamsburg Savings Bank, and the soon to launch The Yard.3,360 sq ft equally divided between first floor and basement space. Owner open to all use.